Home / crochet / denim / polka dot / S/S Trends / Shopping / Ready for the SPRING !! Ready for the SPRING !! 4. Pastels — Go for flowing pajama - styles, tunics in girly shades like Blush Pink, Mint Green, and Powder Blue which define this category....All meant to be classical, and again comfortable. 6. Tangerine Tango — This is THE color of 2012. Lets face it there is no other color can make a loud fashion statement as orange. So you need a new dress? Make it an orange. 7. Stripes and Polka Dots - Stripes and Polka Dots seem to hold a place in fashion year after year. You can't go wrong wearing stripes and polka dots. So your wardrobe is incomplete without at least one of these pieces. 8. High-Waisted flare pants are so big this spring... However they ar abit tricky to wear... I suggest you pair this style of pants with a great heel. Dont forget to flash up the look with a flashy thin belt. follow you+add to my topblogs! Good call on the trends for spring! Im so excited for the spring season! I always feel like its a true rebirth of the season! I want so bad a colored denim, great post, kisses. Neons, crochet, and pastels. These I love. Thanks for bringing all the trends together! I am so excited for Spring.. can't wait for all the snow to melt where I am! I am so excited for all the bright colors!! I love every single one of these trends so I'm excited! I am also happy to already own a number of these pieces! So excited about this spring's new trends. Especially looking forward to polka dots and neon colors. I can't wait for spring to come!!! I love these colors! Buena entrada, me encanta lo que nos propones. I really like the colored jeans trend. Cute post; lovin those coloured jeans! Need a pair asap! Thanks for your lovely comment on my blog would love to follow each other! great post!!! can;t w8 for spring!!!! i <3 colored jeans!!!! and pastels!!!!!! they are my spring wishlist priorities!!!!! thanx so much for your lovely comment! i'm following you via gfc and bloglovin'!!!! Ooooh blog about fashion!! Great! Following now via google and twitter. I love these trends! Especially the pastels! Thank you for stopping by my blog and for the sweet comment. Great list, I'm definitely going to be looking for colored denim and tangerine in particular for spring! Thanks for your lovely comment! Now, follow you by GFC too and twitter!!! I just release a new image on my Facebook Official Page, hope you “like it” and drink a sip of ABSOstyle with me: join my day to day!!! Hi lovely, I like this trends!!! Love this post, it's so inspiring! Great inspirational pic's! That neon look is a winner. Perfect balance and combination of colours. I'm following you now. Thanks so much for stopping by my blog. I'll leave the flares for someone else but I love the other trends! Can't wait for Spring. Love the bright pants! I'm now a follower. Thanks for dropping by my blog and leaving the lovely comment! I just joined ya here, & I love the eye popping colors for Spring, can't wait til it's here! I love spring because of colors like these:) And yeah, I wanna follow each other, I already followed, now's your turn:)) Thank you, you have a really nice blog. love this trends! nice tips...thank you for them! love the color part! it is great post! colored denim is my favorite item this summer. super agree with you!! Love this post, incredibly true and I love these trends!! Can't wait for the heat to come! I can't wait for spring.. I already bought a pair of tangerine tango jeans and a pastel green sweater!! Thank you for your sweet comment dolly! if u want we can follow each other! wow...can't wait!! !love this orange color so much!!! Thanks galore for commenting on my blog and giving me the chance to discover yours, which is delightful! Keep growing that style passion! Of course I'm following you, and I'll be thrilled to have you among my followers, too!! Omg I lovee the last image, the high waisted denims! Where from? Yes I would loveee to follow eachother. I'm excited for spring fashion! I love the trends for spring they're so chic! wow!! the pink pants are to DIE for!!!!!! Aaahhh, i want colored jeans in EVERY color. so far, I have them in red and green. my goal is to get them in every color. Haha. I also like the crochet top. they're super adorable. Love colored denims:) Following you now. Follow me back?! 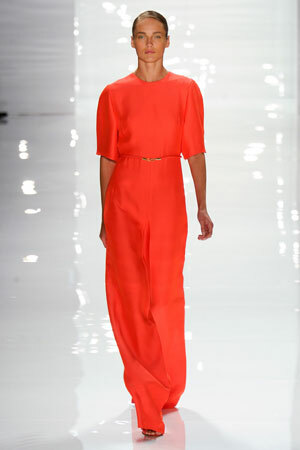 LOVING Tangerine and high waisted flairs this season! Thanks for the follow lovely! Nice blog here, I've just found it and I like it so much! Yh sure I would love us to follow each other. I love all these trends! My favorite is the skinny colored jeans! Great post, can't wait for the spring so we can wear more relaxed outfits! Thanks for stopping by my blog and for the lovely comment! You're very sweet! I'm definitely looking forward to pastels trend! Can't wait to channel it. I'm in love with all the candy colors in Kurt Geiger S/S collection! I think these will be my favs! LOVE the tango dress!!! I want it!! Thanks for your cute comment!! I follow you as follower in GFC, and facebook, because i don´t have twitter, i hope you don´t mind, follow me on GFC and facebook? You´ve a very great blog with faboulous photos!! so excited for colored jeans! these are great inspiration pics! love them all. follow back!! Thank you for leaving a comment on my blog! I will gladly follow you! Thanks for your comment! I am so looking foward to warmer weather. I'm loving neons and colored denim! Thanks for this post :) I'm planning to learn crocheting sometime!